Aliens tries to take over the world and not much stands in their way! The acting isn't good at all, but the effects are really good, and I'd say that's what's this movie is all about. 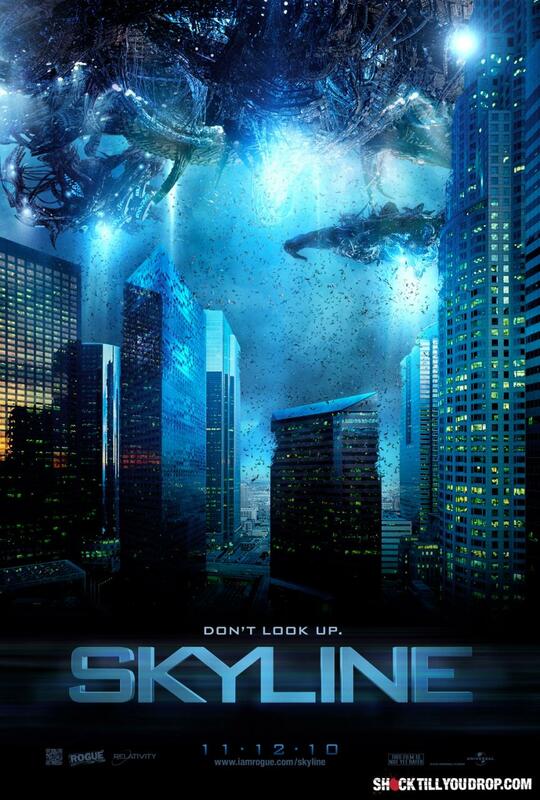 I have always liked movies where the "evil being" is being showed, and not hidden...[well aware that movies like Alien wouldn't work like that =) ] And in Skyline they really really shows off their aliens and their battles against the military. P.s. What's with the title of this movie? I can see some Converse wearing add men coming up with a cathy title, but it has NOTHING to do with anything AT ALL... I don't like that!